If you have old dental fillings, there is a very good chance they are made of amalgam. Many patients say they have received “silver” fillings without ever being informed about what those fillings actually contain. In case you aren’t familiar with this fact, silver fillings are actually amalgam. It is not silver at all, but a mixture of metals (an alloy) which is composed of about half mercury. That’s right, one of the most toxic elements on the planet could be in your mouth. 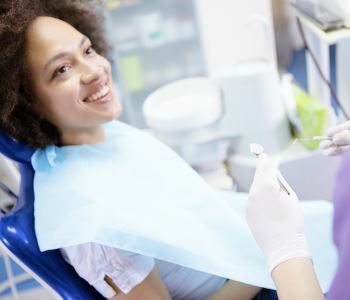 Although the dental industry has continued to promote amalgam as a safe and economical dental material, a number of independent studies disagree. Many patients disagree, and the holistic dental community disagrees. The truth is that many people are not happy with the idea of mercury in their mouths, no matter what form it comes in. As holistic dental practitioners, we understand your concerns, and we want to assure you that we do not use any product or material that contains mercury. Porcelain – Modern dental porcelains are strong and long-lasting. Additionally, special additives and procedures are used to replicate the colour, transparency, and luminescence of your natural teeth, for a natural looking solution. Porcelain may be used for crowns, bridges, inlays and onlays. Zirconia – Although this is actually a type of porcelain, it is in a class of its own. Like other porcelains, it is naturally similar in colour to the teeth, and it can be easily altered to match. It is also exceptionally strong. In fact, it has been used as a replacement for metal not only in medical applications, but also in industrial uses such as manufacturing of aeroplane parts. Dentistry has come a long way and now we are able to offer biocompatible zirconia implants. Resin – This is the premier solution for the repair of cavities, small chips, and similar dental concerns. The restoration can be completed in a single visit and the result is durable and natural looking. Resin material is coloured to match your natural enamel, and applied directly to the tooth surface. It is then shaped, hardened, and polished. If you are looking for healthy, natural, and beautiful dental solutions, visit Smile in Style. Call us at 03 8001 6021 (Sunbury) 03 8400 4104 (Moonee Ponds).